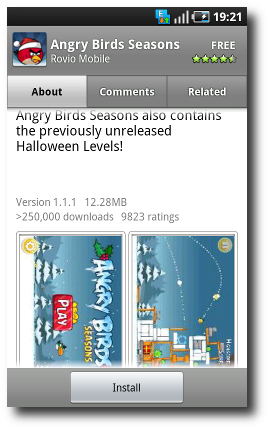 Today Google has updated the Android Market to bring two sought after features - Related Apps and Comment Rating. 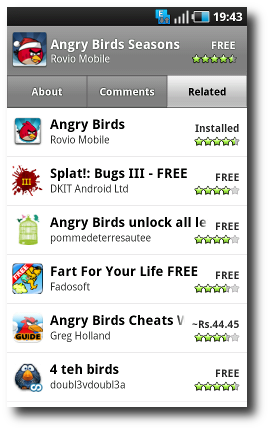 As it should be obvious, the Related tab lists the apps which are related to the selected app. Although it is called Related, it is more like Similar apps. The apps listed are not necessarily related - they are similar apps to the one selected. I would say the apps under Related are, well, relevant enough - although there are some apps which are completely unrelated like that fart app. In addition to the Related tab, another change is the addition of comment rating. 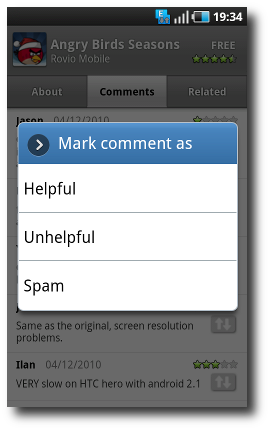 Comments can be rated as Helpful, Unhelpful and Spam. Considering the fact that I have seen quite a few spam comments in the market, I think this feature is a really welcome one.